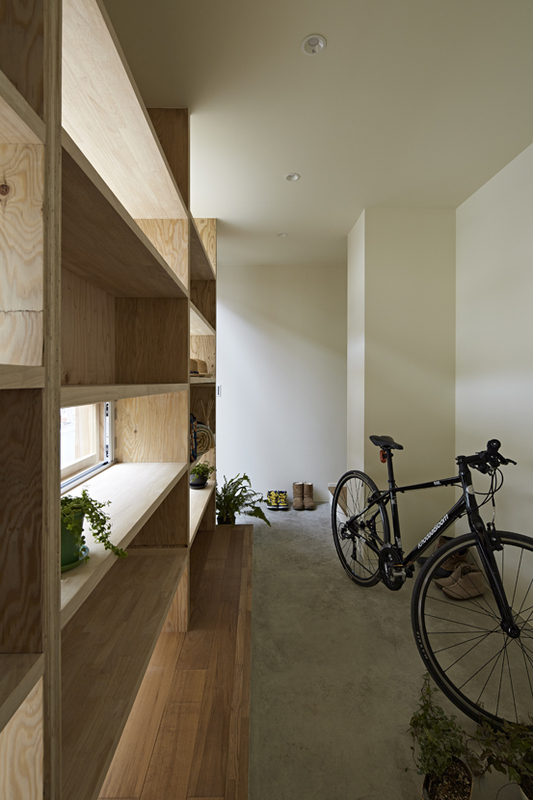 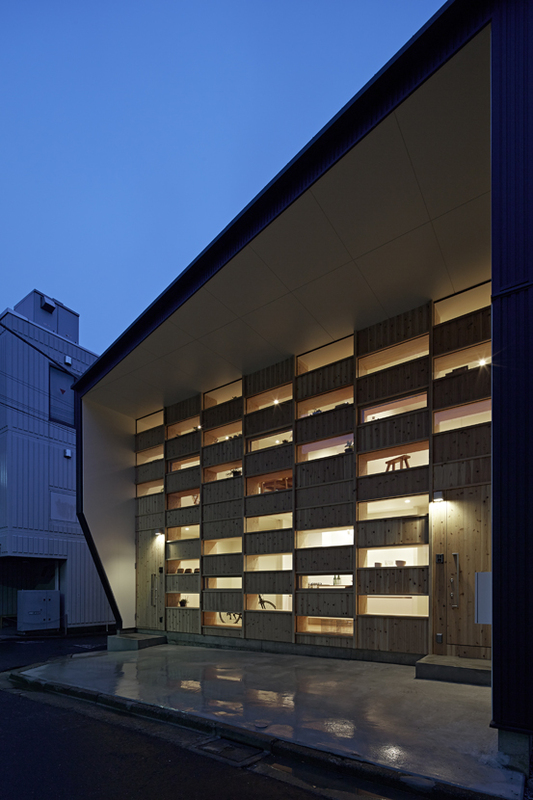 This is a house in the urban city using wood. 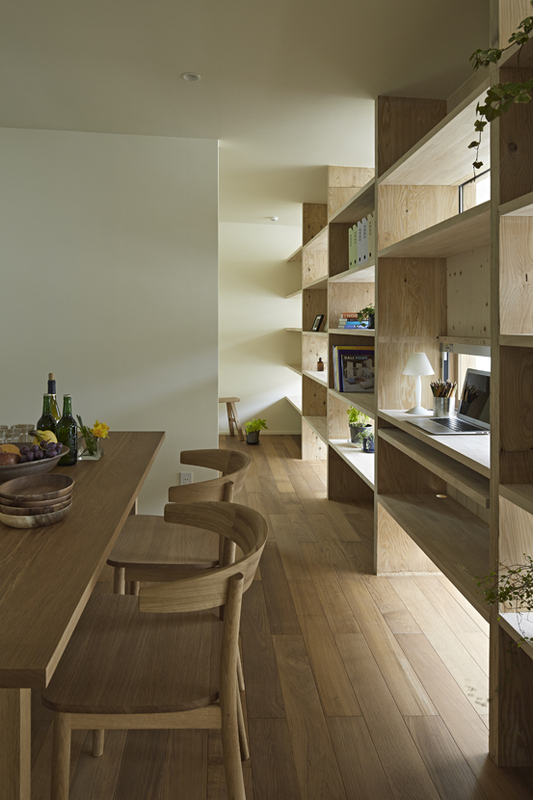 It is getting more and more difficult to use wood for housing in the city. 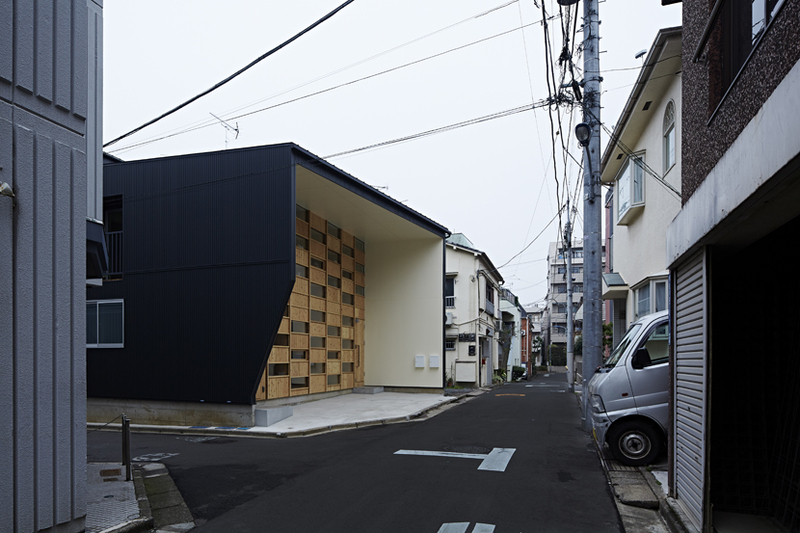 We see wooden houses but it costs a lot of money for disaster prevention and maintenance.I thought about designing a wooden house in the city considering disaster prevention and maintenance looking at the positive aspect of wood such as the soft texture which Japanese traditional houses use to have. 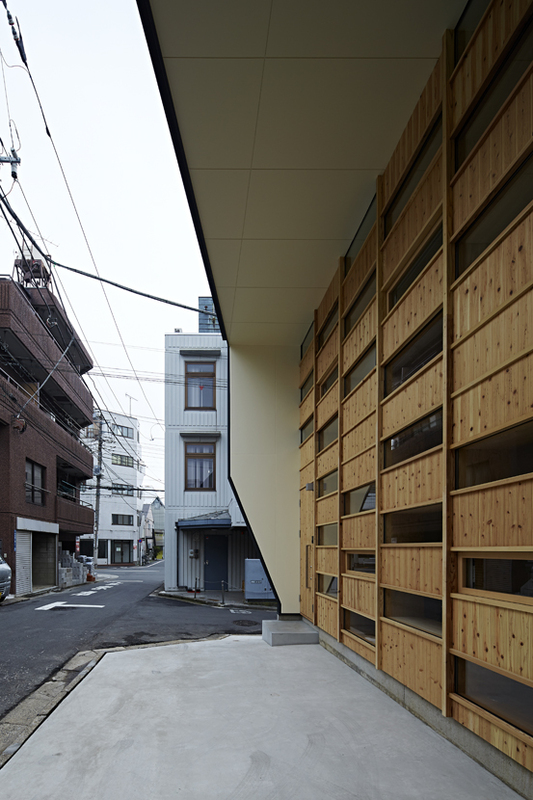 This house has a Japanese traditional under the eaves space overhanging the roof from 1.35m to 2.85m of the parking space facing the north side road. 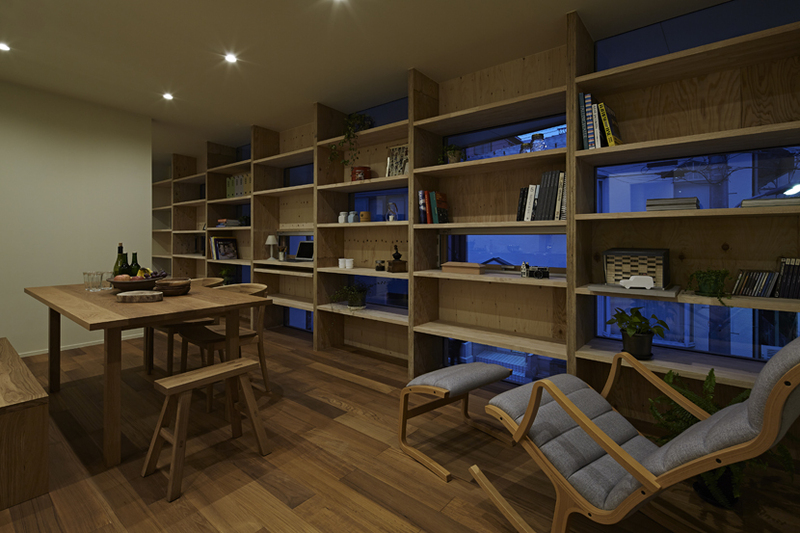 This under the eaves space and the fire wall on both sides enables to use affordable wood material and wooden window frame even in the high density area. 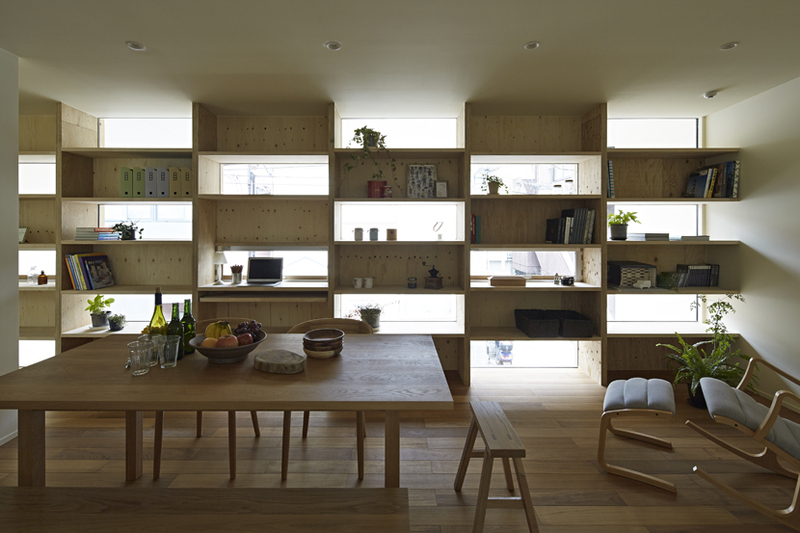 The checkered window allows to take in light from regular height, near the ceiling and near the floor and also take in stable light from the north side during the day time. 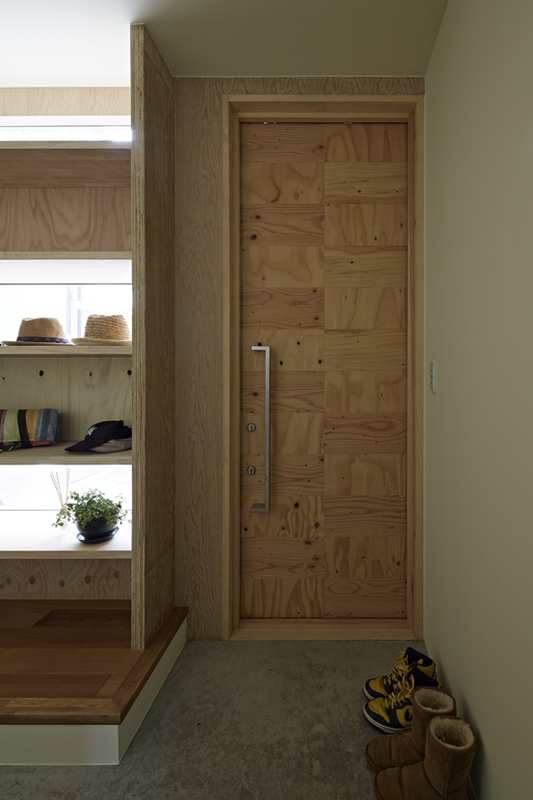 The inside is a shelf with depth and the owner enjoys displaying small articles and also assures privacy at the same time.